So, if you’ve never checked out Megan’s blog, What Megan’s Making, you’re missing out. I’m not sure how I first found it but I’m glad I did. Everything I’ve made from her blog has been incredibly delicious… and my most recent love are these Chewy Peanut Butter Brownies! They are seriously in hot contention for the best thing I ever ate. An indicator? I rarely make the same recipe twice, but this recipe was first posted in March 2012 and I have made them at least two, if not three times since then. For me, that equals a spot on the bus to Crazytown, USA. No joke. Preheat oven to 350 degrees. Grease a 9×9 baking pan with cooking spray. In the bowl of a stand mixer, cream together peanut butter and butter. Add sugars and vanilla. Then mix until creamy, scraping the sides as needed. Next, add egg. Beat on low until light and fluffy. These look SO good! I need to add these ingredients to my grocery list! I would definitely have to make two batches if I were going to share! As a peanut butter/chocolate FIEND I know that I need these in my life! Definitely will NOT be sharing. Wow, these look amazing!! Thanks for sharing, Sarah! I think I’m going to make these for Valentine’s Day! aww yay! let me know what you think if you try them! Well, turns out I couldn’t even wait till Valentine’s Day! 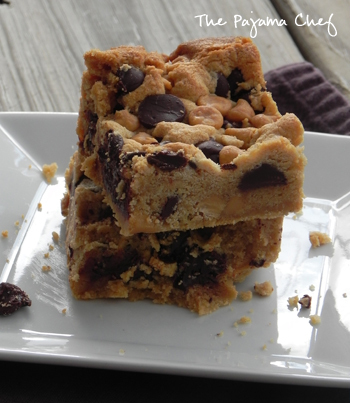 Made these today for friends coming over … they were a huge hit all around! Thanks for the wonderful recipe! you’re welcome dallas! happy you loved them! YUM, these look SO fantastic! With that combination you definitely can’t go wrong!! They sound so good! Do you know how much I would be in the good books with my boyfriend for making these? Ridiculously so. Especially because I don’t even like peanut butter and he does. These are my tickets to an eternity in the good book! Oh wow, can I just tell you how awesome these look? 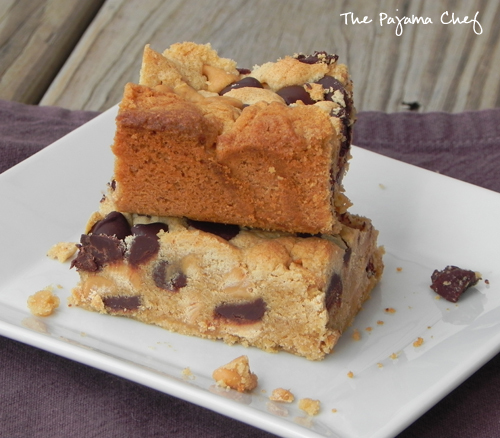 What a delicious twist on a typical brownie, and that texture looks perfectly chewy. Just give me the whole pan, please! I was about to comment on the SRC post, but, THEN, I saw these! 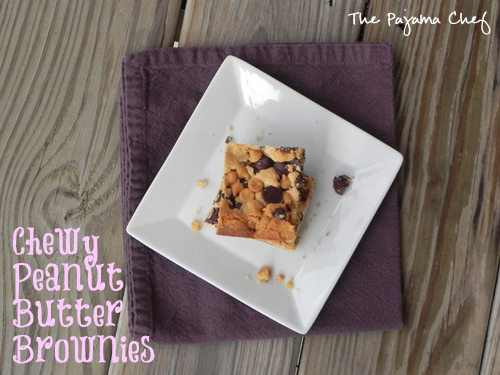 They look to be the perfect PB brownie and I’m always looking for the perfect PB bar or brownie! I’m excited to ry these! haha you should! they are excellent! I love Megan’s blog and these look delicious Sarah!! !